If you feel this is a valuable and worthwhile resource we urgently need any help you can spare us to keep it available, updated and expanding. 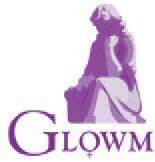 Access to Global Library of Women’s Medicine is free to all, and that is very important to us. We were privileged to be able to fund its creation and development out of our own personal resources, but these are limited and now reaching an end - and in order to give our users confidence in the site’s complete impartiality and lack of bias, we choose not to accept advertising or commercial sponsorship. Although more recently we have been fortunate enough to receive some generous grants, these alone are not enough to maintain the site - nor to add valuable, additional resources - so we now need to depend also on the support of individuals who use The Global Library and who find it valuable. We would be deeply grateful for your help. It does not need to be much, but lots of small contributions add up and can make a very real difference to our future and, hopefully, will actually help to save some women’s lives. Although we run The Global Library on a very strict budget, have only one paid employee and make no office or overhead charges, it still costs approximately $200,000 per year to maintain it. So we do urgently need help to keep it going – and also, most importantly, to continue to develop its resources. Each month it receives over 7 million hits from more than 180 countries and nearly 1,000,000 page are accessed (A.W. Stats), so we do feel it is fulfilling a genuinely worthwhile purpose. We seek to cover all aspects of women’s medicine in an appropriate way, but in addition we devote special and extensive coverage to the issues related to Safer Motherhood. Recognising that The Global Library’s information can be of special value to those in less-resourced countries (where access to up-to-date literature can be very difficult), we have an ongoing program developing training material specifically for less-resourced settings and we are making focused efforts to ensure that this material reaches them. This aspect of The Global Library’s work is very important to us. One of these projects is an innovative program that we are developing in association with The World Health Organization in Africa that uses tablets and smart phones to provide information and to track pregnant women; it’s called The MOTHER Initiative (read more). Another important outreach program that we are just launching is designed to support hospitals, clinics and medical schools in all those places around the world where the internet is either not available or is too slow to be useful (and there are still a surprising number of such places). We also publish some of our specialist textbooks and educational wall charts in a conventional printed paper format and distribute them free to medical professionals in less-resourced settings where appropriate opportunities exist. Some of our material is specifically designed to help train midwives and birth assistants, and we should like to undertake more translations into local languages whenever resources are sufficient to allow this. Since we believe strongly that there is no point in duplicating what has already been created or competing in any way with others who are working in this field, we feel particularly fortunate to have created close and cooperative associations with a range of other valuable organizations devoted to women’s healthcare. First and foremost, we have recently made a formal agreement with The International Federation of Gynecology and Obstetrics (FIGO) whereby we act as their Official Educational Platform. Our close association with FIGO is already helping in a number of important ways to enhance the scope of the resources that we are able to offer. We also work closely with the World Health Organization (particularly in Africa), with Medical Aid Films (whose outstanding films we feature on our site), and with Mati4Life. In addition we have supportive contacts with The Royal College of Obstetricians and Gynaecologists, The American College of Obstetrics and Gynecology, The Canadian Society of Obstetrics and Gynecology, The International Confederation of Midwives and the CALMED Training Program. Recently we have partnered with a major USA-based program that is focused on encouraging and assisting in the provision of more than 1,000 extra obstetrics / gynaecologists in sub-Saharan Africa: the vast range of the training resources that the program has developed in order to achieve this objective have just been added to The Global Library website - almost doubling the total volume of resources now available! In due course we hope to be able to make many of our resources available as apps so that they can be downloaded and stored on smart phones and tablets whenever users may find this useful. (We put NO restriction whatsoever on the re-use of our resources for educational purposes). At the same time we have an active program focused on developing new resources, especially in the field of Safer Motherhood. Currently we are producing a wide range of tutorials for midwives and simple animated health messages for Community Health education. We are planning to make new textbooks available on key topics, such as the management of pre-eclampsia, and we are currently undertaking a major review of the 446 chapters in our "Women’s Medicine Section" to ensure not only that they are up-to-date but also that all the most important new topics that have developed in recent years are fully covered. Thank you for your time and interest in reading this far. If you would like to help us by making a contribution, however small, you can do so by clicking the button below – we will be most grateful to you for your help..